The gateway to the Chamba Valley, this colonial town was established in 1854 by the British Governor General Lord Dalhousie. Located on the five hills namely, Kathlog, Portreyn, Moti Tibba, Bakrota and Balun, Dalhousie has retained much of the British Raj Style. The Dhauldhar mountain ranges in the vicinity with the river Ravi flowing down, the pine covered slopes, with intersecting roads, the houses with colonial architecture, and the serene calmness; all with its own distinctive flavour, Dalhousie is one of the most picture perfect hill stations of India. Dalhousie offers a panoramic view, from certain places one can come across the stupendous view of the confluence of the three Rivers; Ravi, Chenab and Beas. This is the place that slowly joins in the Kashmir valley. No wonder that Lord Dalhousie chose this place looking for peace and serenity after a war. His love for the place went to the extent that he leased it from the King of Chamba, and although he left soon enough, the place which had acquired his name stayed back for years to come and became one of the most beautiful and famous hill stations of India. Location: Covering the area of 14 sq kms and situated on five hills, stands the hills station of Dalhousie. It is located on the Dhauldhar range of Himalayas and is around 210 kms from the capital of the state Shimla. Best Time To Visit: April To November & December to Februay to enjoy the winter sports. 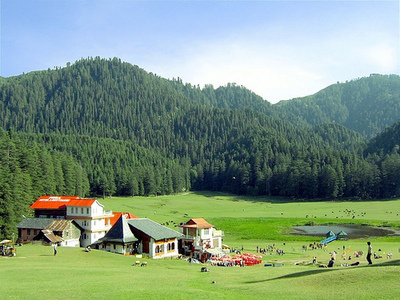 Like any other hill stations of Himachal Pradesh, Dalhousie, too, is abundant in natural beauty and that is the prime attraction of this place. 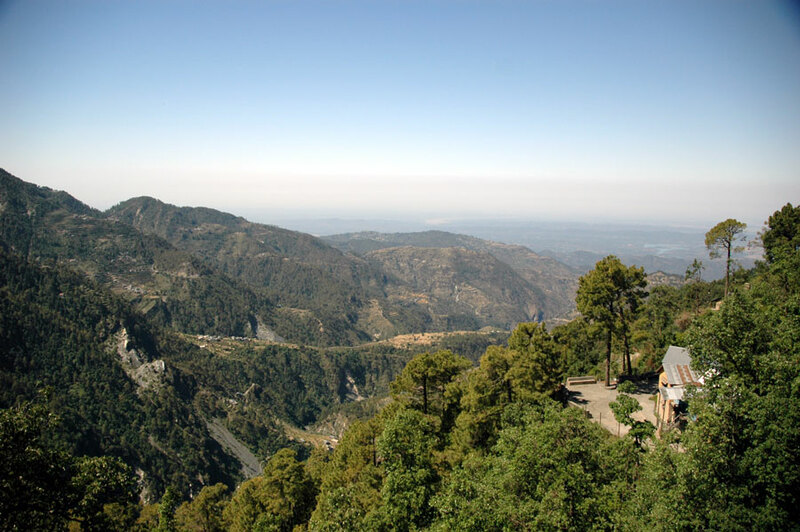 The place patronized by the British Governor General Lord Dalhousie, has very less options other than being with nature. There is Jandhri Ghat, an elegant residence of the rulers of the region before Lord Dalhousie leased out the place from them. Nestled amidst the forests, the house is surrounded with mild fragrance of the pine trees and naughty streamlets flowing nearby. A beautiful site, worth a visit, with a display of many trophies and other articles owned by the rulers. The Subhash Baoli is the landmark of Dalhousie. It is believed that the great freedom fighter Subhash Chandra Bose spent a lot of time at this place in 1937, meditating and reorganizing his thoughts. Although at an altituded of 2085 meters with breath taking views around it is definitely difficult for a common man to meditate here! Dalhousie is full of little springs that one comes across at every nook and corner in Dalhousie. But the Satdhara is a different site. At an altitude of 2036 meters there are seven brooks rush down with the treasure of mica and other medicinal ingredients due to which they carry along with therapeutic values. The Bakrota Hills take the cake of the view of the surrounding hills and the snow clad peaks. This place is bit far from the heart of the city but definitely rewarding. Panjpulla has a monument built in the memory of a great martyr Ajit Singh who was the uncle of the legendary Bhagat Singh. Hardly two kms from the centre of the city this memorial is must a visit. The Diankunt is famous for its crystal view of the three rivers which flow through the state and go down towards Punjab which are the Beas, Ravi and the Chenab. Far from the maddening crowd, Alps Resort is located amidst peace and serenity.Surrounded by pine trees, the resort has a spectacular view of the valley.Sprawling lawns, splendid views, wooded walks, every evening bon-fire & bar-be-que, indoor & outdoor games and above all gracious hospitality are amongst a few facilities that we offer. The gateway to the Chamba Valley, this colonial town was established in 1854 by the British Governor-General Lord Dalhousie, covering an area of 14 sq.km and surrounded by alpine vegetation. Dalhousie has charming architecture and panoramic views of both plains and the white capped views of the mountainous ranges. Beautifully situated with various type of schemes for the renowned guests athroughout the year.Complimentary access tothe Movie Club with select choice of movies, late check out facility,10 videogames free at the gaming parlor in the Hotel on our package, 2 km level forest walk with hotel guide and light beverages. Situated in the heart of Dalhousie, Monal offers a clean and hygienic environment. Rooms and suites are designed to cradle you in luxury with an open view of the splendid deodar forest and the virgin pine mountains and the privacy of your very own balcony will give you a feeling that you are in the middle of everything, yet away from it all. Our professional staff revels in matching your interests. You will feel the warmth and excellent services instantaneously.With its private balconies and full valley view, Hotel Monal offers the best scenic view in entire Dalhousie.